Nuclear Power Green Deal — The Wall Street Journal on Feb. 26 had a great column by John Rie and Alan Emery titled “The Nuclear Option Is The Real Green Deal”. Solar and wind are not serious solutions to the problems of global energy demand. Nuclear power is a stable, profit-generating 24/7 carbon-free energy source that uses the existing power grid and fully proven technology. Most significantly, a nuclear plant produces as much toxic waste in a year that a coal plant produces in an hour. Rie and Emery also describe how South Korean nuclear plants are extremely profitable as they have all been built from an identical design. We despise global warming fanatics but minimizing carbon emissions is obviously a desirable thing. And really, are global warming fanatics worse than no-nuke ones? Here’s an irony: If the AGW-gonna-kill-us-all-in-12-years crowd is right, Jane Fonda will literally be responsible for destroying the world. Ryan Costello Globally Warm And Comfy — Ryan Costello, who represented Pennsylvania’s once-Republican 6th Congressional District until his quitting in 2018, has found a comfy and warm landing spot. He is now managing director of Americans for Carbon Dividends, which is pushing for something called the Baker-Shultz Carbon Dividends Plan which will increase the cost of energy ostensibly to save the planet from burning up. He had a column in the Jan. 7 Wall Street Journal which if you have a subscription can be read here. Besides working class mechants using air conditioners, he also bemoans the existence of the Second Amendment and immigration laws. Hey, who needs social justice warriors when you have Ryanos? Anyway, Costello’s long-time friend and bosom-buddy enabler is Val DiGiorgio who chaired the Chester County GOP when Costello was a rising star. DiGiorgio, who kept the county title until Dec. 7, became state GOP chairman in February 2017. His tenure as county chairman saw a once Republican stronghold turn Democrat. His tenure as state chairman has been similarly spectacular. Val’s the guy when you need a political problem fixed. Val still has his defenders in the GOP. We’d like to ask them — with Tucker Carlson sincerity — how exactly can DiGiorgio represent the Republican rank and file and Stradely Ronon? Whose side would DiGiorgio must likely take in a conflict, the Republican rank and file or a Stradely Ronon client? The last question was obviously rhetorical. And for any Democrats reading this we’d like to point out that rising D star Josh Shapiro was a well-paid, high-ranking employee of Stradley Ronon until winning the state Attorney General race in 2016. The real enemy is the uniparty. 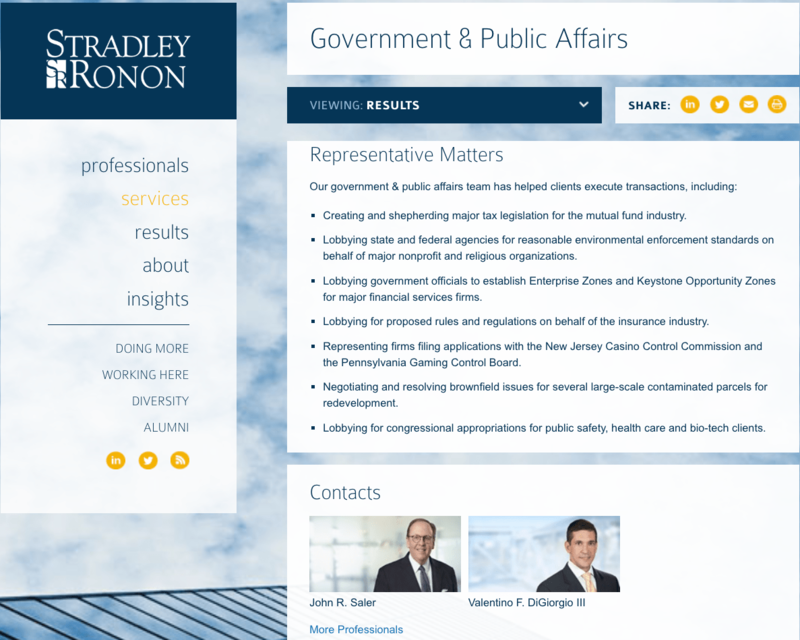 Here’s another question: How come the only place you hear about these Stradley Ronon connections is here? Natural Gas? Do you think you know all about this abundant Pennsylvania resource? Probably not, there has been a lot of misconceptions about this natural resource. We all care about our environment and hopefully do our best to lower our carbon footprint. Carbon emissions, which are the primary driver of climate change are the lowest they’ve been in large part because of advancements in natural gas. The increased availability and use of natural gas is clean burning and in fact, the United States leads other top world economies in reducing carbon emissions from energy largely to natural gas along with new technologies. The natural gas industry has invested $90 billion on emission-controlled technologies from 2000—to 20014. And, while American energy production has increased by 40 percent over the last decade, carbon emissions from natural gas systems have decreased by 4 percent. Fossil fuels are essential in the building of renewable technology and provides critical baseload flexible energy to support wind and solar, so we can support a modern low carbon lifestyle. 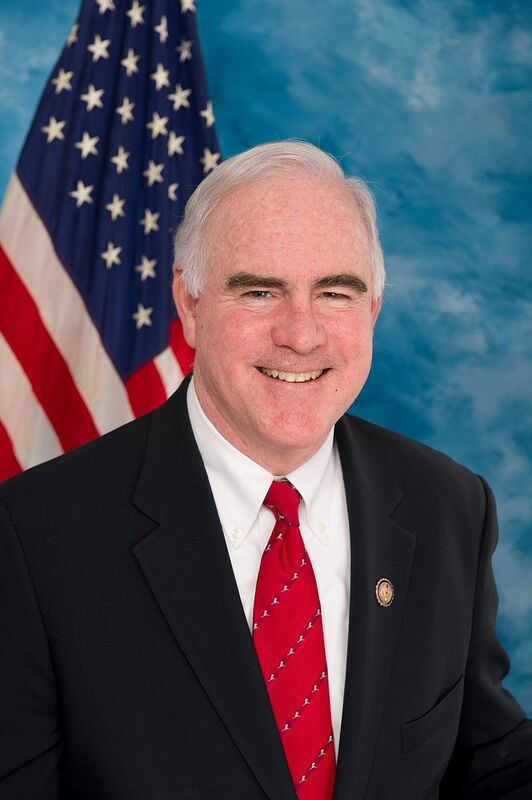 Meehan Blasts Trump, Profile In Spinelessness — Showing again that his penchant is obstruction rather than progress, Congressman Pat Meehan (R-Pa7) joined the Democrats and denounced America’s Trumpian exit from the Paris Climate Scam. Right. Did he actually listen to the President’s explanation? Does he really think our presence in this scam is going to stop China and India — and other places — from building coal plants and expanding coal production? LOL. Does he really think the billion we gave to the “Green Fund” is really being used for the environment? LOL II. Does he not comprehend that we will be on the hook for tens, maybe hundreds, of billions more? Does he think it is good for Americans to have $7,000 less household income? The US does not need Europe, China or India to follow sane environmental practices. In fact, getting out of this scam would be much better for the environment. If annual income was $7 G higher a lot more households would be looking at Teslas and other battery-powered cars. Grow a spine, Congressman. It’s going to bite you if you don’t. God bless President Trump. God bless the man who saw what a corrupt scam the globalists were running regarding the Paris Climate Accord. Pennsylvania Republicans better stay/get on the the Trump Train. Reservations are not needed. Paris Agreement Bad For USA — There are some — including reportedly daughter Ivanka — pushing President Trump to keep the USA in the Paris Agreement as committed to by President Obama. The agreement puts restrictions on the use of energy in the guise of stopping “climate change”. 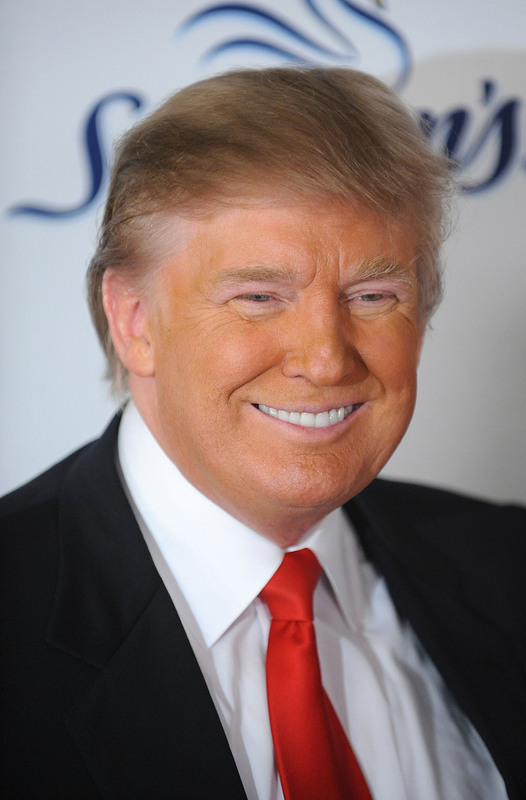 Hopefully, The Donald is strong enough to stand up to the pressure. The Paris Agreement is not about saving the world. It is about shackling the economy of the United States to weaken her and make her more malleable to the will of international plutocrats. The biggest polluters like China, India and Russia do not hesitate to ignore the obligations to which they have agreed. Obviously, pollution is a bad thing and obviously it is desirable to limit greenhouse gases. We do not, however, have to submit to internationalists to achieve these ends and it is unwise to do so. The globalist plan does not inhibit the lifestyles of the rich and connected. The Obamas (and rich and greedy land-owner Bruce Springsteen) still get to party on Good Friday on $300 million yachts. Leonardo DiCaprio still gets to take charter jets to pick up environmental awards. Al Gore still gets to live in $9 million California mansions. But working families for whom an extra $200 per year actually means something will have to pay more for energy and food so these people can feel holy and righteous. And for Chinese tyrants to get stronger. Please, Mr. President get us out of this vile pact. State Department Air Conditioning Destroying World — Secretary of State John Kerry has declared air conditioners to be a threat as great as ISIS. Caring people are circulating a petition calling for the removal of air conditioners from State Department property. One can sign it here. Pat Meehan, man of the left? Meehan Gets Progressive Praise — Congressman Pat Meehan (R-Pa7) is being lauded by uber-left ThinkProgress for being among the Republicans signing on for action on climate change. Wonder if Pat heard Marco Rubio explain at the March 10 presidential debate how no law can impact climate change yet any law attempting so would raise energy cost $20 or $30 per month for working people. Does Pat, who has recently moved to upscale Chadds Ford from working-class Drexel Hill, care about working people anymore? It’s worth noting that ThinkProgress also praises Pennsylvania Republican congressmen Mike Fitzpatrick of the 8th District and Ryan Costello of the 6th District for getting their minds right on the benefits of feudalism. Don’t be hypocrites in your personal life. How big is Pat’s new Chadds Ford home, by the way? Just asking. Rather than push things that make life harder push things that make life easier. Most would prefer telecommuting to driving. Encourage business to make it happen for jobs were it is possible. Most would prefer not stopping at toll booths. Toll booths snarl traffic which means more pollution which means more greenhouse gas. Make all bridges and roads free. Push for nuclear energy. Replacing all coal and gas electrical plants with nuclear ones would do more to stop global warming that a hyperloop train in every town. Once upon a time, it was thought that nukes would lead to electricity “too cheap to meter.” Safety concerns and nuclear waste (and greed and over-regulation) have made many feel that was but a pipe dream. It remains possible in theory, though, hence it remains possible and with wisdom meter-less electricity can be made to happen. Make it a goal and sell it if you really care about “climate change”. By the way Pat, that’s strike two. 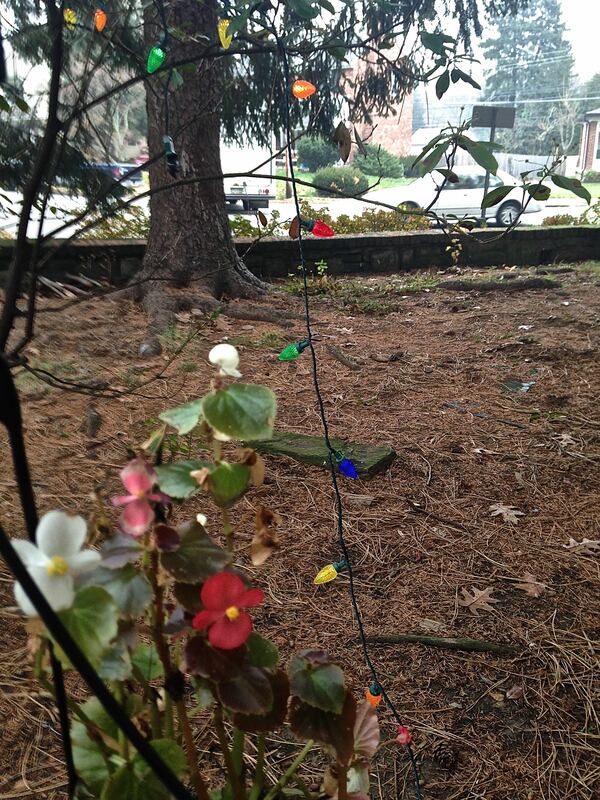 Begonias in bloom in Philadelphia in the bleak midwinter. Climate Change Accord Celebrated — Today’s (Dec. 14) front page of The Philadelphia Inquirer includes a celebratory article of Saturday’s approval in Paris of an accord to limit emissions of greenhouse gases. Accepting the accord were representatives from 196 nations including Russia, China and Saudi Arabia. The gases are blamed for the warming of the planet. The Associated Press article by Seth Borenstein makes an assumption that this accord will be approved by the Senate — it is not legally binding if it doesn’t — much less that it will be followed by the other nations. By the way, there are no penalties for nations that fail to keep the demands. The AP article could not be found on the Inquirer‘s website which carries this less biased one. Considering the 70 degree December the Northeast is having, it is certainly an auspicious time for proponents of world-wide neo-feudalism to promote this foolish excuse for more corruption, and we’d like to note that conservation is a good thing, pollution is a bad thing and the progressing beyond fossil fuel is a desirable thing. However, the United States does not need to bind itself to anything to do so and any money it gives internationally is far more likely to enrich true bastards than accomplish the claimed goals. If one really believes that global warming is a man-made crisis one should comprehend that there are practical, commonsense steps that would be far more effective in addressing it than any of the garbage that came out of France. The most obvious one would be the replacement of all coal-fired power plants with nuclear ones, followed by the replacement of all gas-fired power plants. Scary? Hey, when certain doom looms you gotta roll the dice. Less scary things that aren’t on the table would be the saving of hydr0-electric dams, the promotion of telecommuting and the speedy elimination of traffic bottlenecks. The latter would mean repealing the Davis-Bacon Act which significantly inflates the cost of highway construction in the United States. This repeal is vehemently opposed by the same forces that scream the dire fate that global warming portends from the other side of their mouths. It would also mean ending toll roads which are government created traffic bottle necks, something also opposed by the same political factions that cry global warming. And the failure to do the simple, commonsense things that would not only effectively address the problem but make life easier, rather than harder, for the little guy is what make us think global warming is a scam despite the 70 degree December. Pope Francis, yesterday, June 18, released Laudato Si the first encyclical addressing the environment in Catholic Church history. Most of it is hard to argue with. Greed is bad. Waste is bad. Pollution is bad. Oh yeah, and abortion and euthanasia are bad. However, Francis also felt obliged to chime in that global warming is primarily man-made and is an oppressive burden on the poor. Taking that to its logical conclusion means those living in poor nations should no longer aspire to have global-warming producing things like refrigerators and air conditioners and computer networks, much less cars. Saying people with brown skin should end their dreams of having these blessings strikes us as kind of mean. 1. The leading supporters hid data that contradicted their public conclusions and treated dissenters politically with attempts to punish and silence them rather than in accordance with the canons of science which would be giving them full and fair hearing then refuting them openly. 2. Falsities have been found in the arguments of those claiming anthropogenic global warming (AGW). 3. Hypocrisy has been found in the lifestyles of those claiming AGW. Really, if you believe that a particular behavior is going to destroy the lives of your children you don’t charter jets to catch New Year’s shows on different continents. Nor do you live in energy-wasting villas. Either the activists don’t believe in what they say or they don’t care. We find this strange if one is talking about the end of the world. 4. The commonsense and practical actions that would drastically alleviate the claimed causes of AGW have been ignored, and even opposed by the supporters of AGW. When was the last time you heard an AGW claimer exhorting for more telecommuting? How about nuclear power? If the effort was made circa Y2K to replace every coal plant in this nation with a nuke, alleged AGW gases would be half diminished by now. Even more bizarrely why do AGW claimers support the removal of hydro-electric dams to be replaced by AGW producing plants? We can go on noting opposition to streamlining the removal of traffic bottlenecks by ending Davis-Bacon requirements, and toll roads. Frankly, any of these by themselves is damning to the argument. As there are four of them color us extremely skeptical. Also, while arguments from authority are anything but definitive, we will note that highly accredited and accomplished persons in the field of climate study doubt it is occurring. These include Joe Bastardi, longtime of Accuweather, and John Coleman, founder of The Weather Channel; and Dr. Roy Spencer, who pioneered temperature-based satellite monitoring. For those who accept Francis’ declaration, we can find common ground regarding point 4. Are you green activists ready to fight to save hydro-electric dams and replace our coal plants with nukes? How about ending Davis-Bacon and other prevailing wage laws so we can free up some cash to remove traffic bottlenecks? Another point: If you are willing to accept his declaration on global warming are you willing to accept his declarations on abortion and gay marriage? 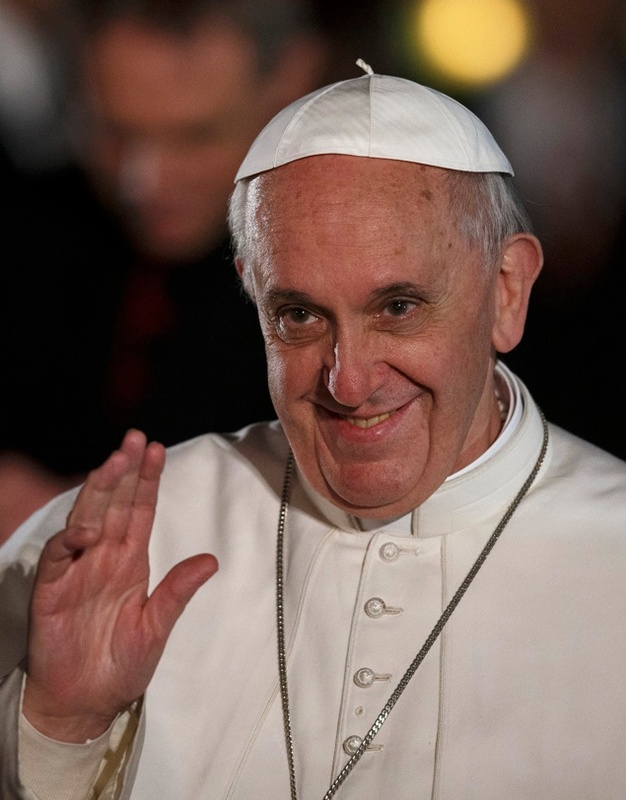 Pope Accepts Global Warming, We Don’t.